Posted on: August 13th, 2016	by Melanie C.
In full disclosure, Sahara Sam’s Oasis is a Jersey Family Fun advertiser. As always, all opinions are our own. We appreciate their support of Jersey Family Fun and our efforts to share fun New Jersey water parks with our readers. As always, all opinions are our own. Sahara Sam’s Birthday Parties a SPLASHING good time! There are usually two kinds of parents when it comes to birthday parties. Those who love hosting, who can run games and crafts for the crowd, who excel at baking the cake and do it all with a smile. Then there are the rest of us! 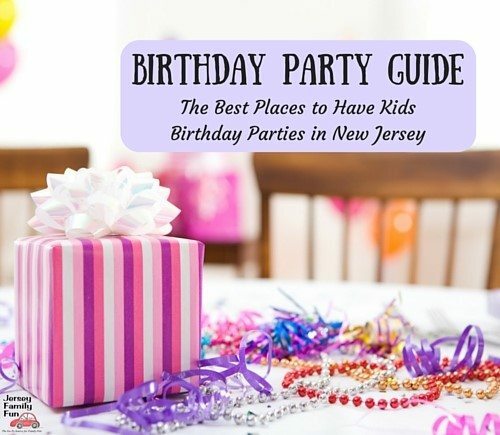 If it’s time to book a party, consider Sahara Sam’s birthday parties. Located in West Berlin, New Jersey, a party at Sahara Sam’s gets everyone active, happy and WET! Sahara Sam’s Oasis is one of New Jersey’s BEST indoor/outdoor water parks! Weather isn’t a problem with their indoor party room and water features. While you and your guests dig into cake and fun, the Sahara Sam’s staff does the setup and clean up leaving you and all your guests to swim, float, splash and enjoy! All birthday party packages at Sahara Sam’s include play at Sahara Sam’s Oasis! With attractions for young and old, from the Tim-Buk-Tu Playland to the Flow Rider surfing simulator, there’s something for all ages. Show off your basketball skills at Sam’s Slamdunker or just float along the Congo Bongo. It’s a birthday you won’t forget! After those two or three hours of birthday party fun at Sahara Sam’s Oasis, everyone will be HUNGRY. It will be time for pizza, drinks, and cake (cake provided by you or ice cream cake purchased from Sahara Sam’s) in the fully decorated festive Party Room. Want to see the inside of Sahara Sam’s birthday party rooms? You can click over to their site to get a virtual tour of them. Want more splash time? Guests can re-enter the park at a reduced price of $14.95 and play until the park closes! LIMITED TIME OFFER MARCH 2019 – FREE SEASON PASS FOR ONE BIRTHDAY CHILD! Who wants a big WET hug from Sahara Sam? Waffles and Waves – $379, $329 for members. 3 hours in the waterpark and 45 minutes in a party room! Waffles and ice cream and $5 arcade game card for each child guest. Additional children are $22.95 each. The Perfect Splash – $379, $329 for members. 2 hours in the waterpark and 45 minutes in a private party room, 1 slice of pizza and soda for each child, $5 arcade card for each child guest, super ice cream sundae for birthday child. Additional children are $22.95 each. Wacky Weekdays – $269, $229 for members. 3 hours in the waterpark. Includes birthday child and 2 parents, 10 children and 10 chaperones, 1 slice of cheese pizza for each. 2 pitchers of soda included as well as 11 $5 arcade cards. Complimentary storage area. Package does not include a party room or party host. Available on Thursdays and Fridays. Unless noted, parties require a minimum of 10 children plus the birthday child. Your package includes park admission for 10 chaperones. How awesome is that, parents aren’t extra?! Extra chaperones are $11.95 each. Ready to reserve your Sahara Sam’s birthday party date? Call the Sahara Sam’s Party experts: 856–767–7580 to reserve your date, or book online! Don’t let this amazing opportunity pass you by! Want to learn more about Sahara Sam’s Oasis, check out our Sahara Sam’s articles here.